Marble is a mineral that is primarily comprised of calcite. Natural physical and chemical impurities add to this makeup, giving patterns and veining. Unlike marble, quartzite is not a mineral, it is made up of sandstone and quartz, both sedimentary rocks. Quartzite also takes on environmental impurities and inclusions, producing different colours. How are Marble and Quartzite formed? Both are metamorphic rocks, meaning that they are changed by pressure and heat, but don’t melt. Marble begins life as a limestone. Quartzite is made when quartz grains found in sandstone are fused under pressure and heat. What are the main features of marble? Marble is white when pure and is much stronger than limestone, the rock from which it forms. Colours and patterns we see in our final marble slabs, are caused from impurities and inclusions introduced to the marble in the forming process. The common colours of marble are green, pink, black, beige, brown or grey. Marble has weak chemical bonds so is easy to quarry, carve and polish. These bonds also mean that marble is susceptible to attack from acid. To see if the stone is a ‘pure’ marble, it will fizz upon reaction with acids. 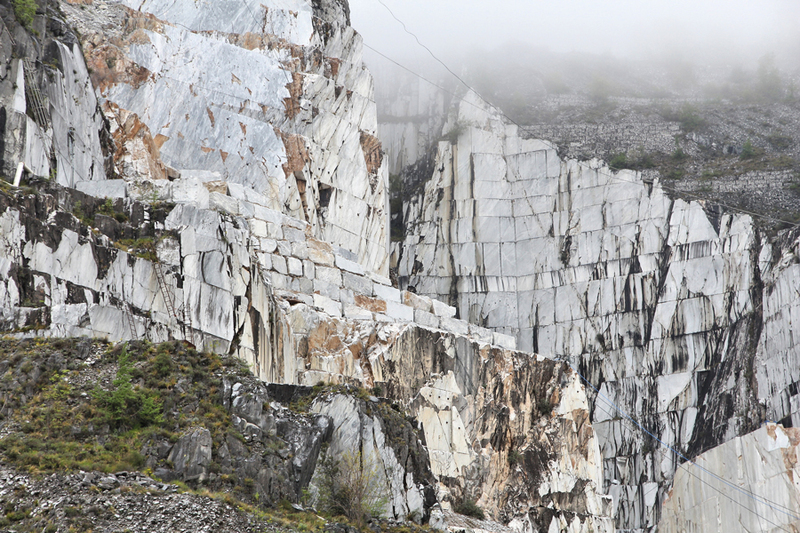 What are the main features of quartzite? 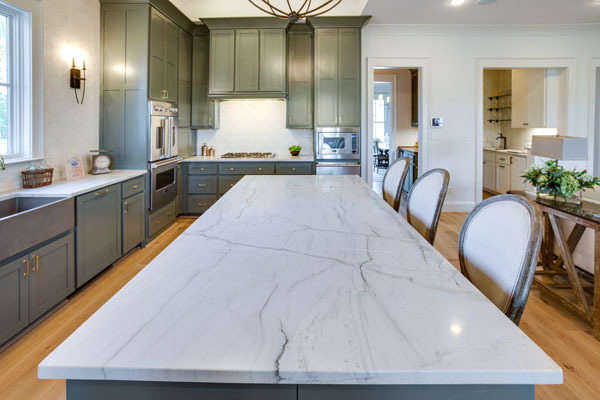 Marble vs Quartzite – Countertop material? 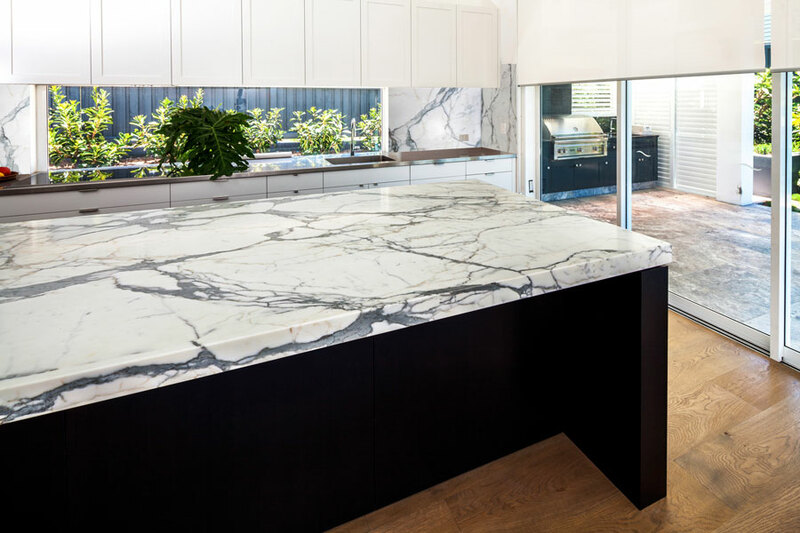 Quartzite is commonly used as a construction material for benchtops, cladding and flooring. Many find it attractive as a benchtop choice as it so indestructible and requires little to no maintenance. Marble is also used as a construction material for buildings, tiles, counter tops, cladding, floors and other architectural surfaces. As marble is softer than quartzite, it is also used for monuments and sculpture, as it is easily carved and sculpted. Marble is often used as a countertop material, despite it’s softness. To read more about marble and it’s performance, check out our post on marble and 5 facts you might not know. https://victoriastonegallery.com.au/cms/wp-content/uploads/2018/03/Marble-benchtop.jpg 600 900 sophie Van der Linden https://victoriastonegallery.com.au/cms/wp-content/uploads/2017/05/icon-white.png sophie Van der Linden2018-03-09 11:53:472018-03-13 10:33:30Marble vs Quartzite - What are the differences? All You Need To Know About Super White Dolomite Is Fantasy Brown a Marble or Quartzite?